28.10.2014. Georgian farmers from the country's wine producing regions are enjoying the benefits of a bumper harvest after earning 170 million GEL [about USD 100 million - HN] by selling 120,000 tons of grapes this year. The 2014 grape picking season has ended in all of Georgia’s wine producing regions including Kakheti in the east and Imereti and Racha in Georgia’s west, said Georgia’s National Wine Agency. A coordination centre for grape vintage under the supervision of the government "Rtveli 2014" was established in wine producing regions and worked as a 24/7 service. Furthermore, 10 private wine plants purchased grapes from farmers in Racha and 30 plants from Kakheti. "With the support of the Government, the sales of grapes have been promoted. Wine producing companies still continue the purchasing of grapes. Consequently, no farmers have experienced problems related to sales,” said the National Wine Agency in a statement. The Georgian government did not allocate a state subsidy to winemakers in Racha as it believed demand for the grapes would be high. However, a subsidy for white wine grapes was determined as 35 tetri and black grapes as 15 tetri per kilogram. 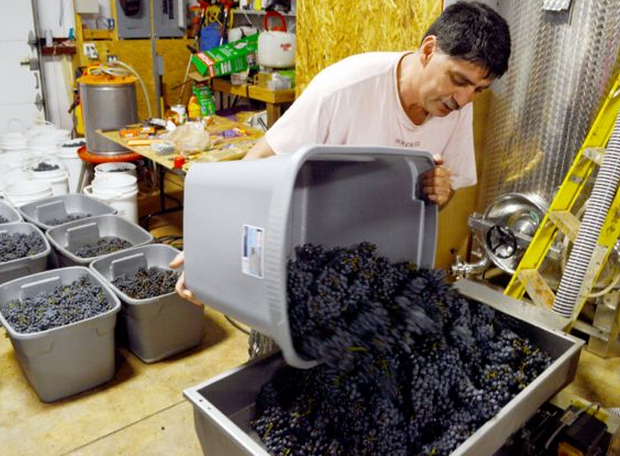 The state subsidy to winemakers decreased this year from 25 million GEL to 12 million GEL. The country’s National Wine Agency believed farmers handed grapes over to wine companies at unprecedentedly high prices without any hindrance.